Before you step into your shower think to yourself “Is this going to be an experience?” If the answer is “No”, you should consider the Suite Single Shower Cabin by System Pool. The ideal showering experience is available in black or white to match your bathroom interior and it melds into any contemporary bathroom. 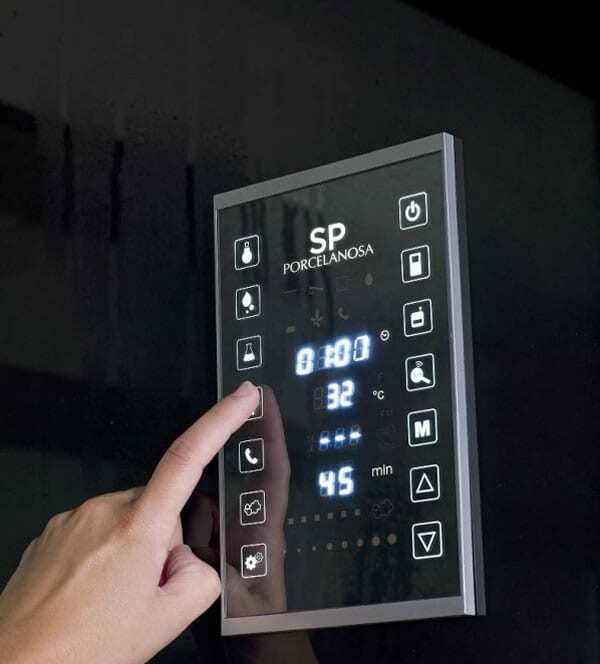 The Suite Single Shower Cabin by System Pool is for the homeowner who wants to wash their cares away at the touch of the SC Touch technology control pad. In an instant see how the hand shower, 3 massage jets, steam and light will transform your daily shower into a retreat away from the norm. Until you have experienced the combined radio, and music capabilities to plug in your USB or favorite MP3 player you haven’t really enjoyed a true showering experience. The shower tray is made from KRION Stone and the entire Suite Single features anti-lime scale surfaces to ensure your interior stays sleek and beautiful without white residue. Laminated mat glass in the roof and tempered glass on the side walls are ideal for safety and will keep it’s long lasting durability for years to come. Before you decide when you will experience the Suite Single, how about think about the perfect place in your bathroom for it?